Following a successful E3, Take-Two Interactive Software, Inc. has (yet again) responded bullishly to Electronic Arts' offer to extend the deadline of its unsolicited conditional tender offer to buy up the Grand Theft Auto publisher. As reported by EA, around 15 per cent of Take-Two's outstanding shares tendered into EA's offer as of 5:00pm Eastern time on Friday 18 July, 2008. Strauss Zelnick, Chairman of Take-Two, remains bullish, telling shareholders that: "Take-Two's Board continues to be 100 per cent committed to maximising stockholder value and remains unanimous in continuing to recommend that our stockholders not tender their shares to EA. "We are fully engaged in a formal process to evaluate strategic alternatives that have the potential to deliver greater value than EA's inadequate offer. "As part of this process, we continue to engage in meaningful discussions with multiple parties, a number of whom have been conducting due diligence. We also remain absolutely focused on executing on our strategic and business objectives." Ben Feder, Chief Executive Officer, adds "In February, Take-Two's board rejected EA's offer as inadequate. Since then, the record-shattering release of Grand Theft Auto IV, the exciting announcement of a BioShock movie, and our ability to deliver financial results exceeding expectations have further demonstrated that our value-creation potential is greater than EA's offer. "Take-Two is also continuing to create significant value through the development of world-class entertainment products, as well as improved operational and financial performance. Our stockholders will be the beneficiaries of these achievements, and it is management's mission to deliver the greatest value possible for them." 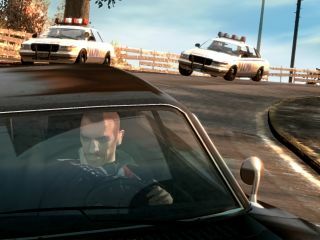 The company also recently announced the forthcoming launch of a new Grand Theft Auto title for Nitnendo DS. More on that when we manage to get anybody at Rockstar Games to spill some beans!